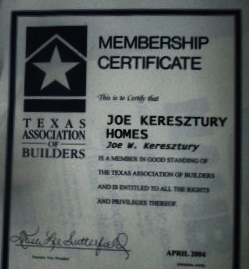 for over 25 years. 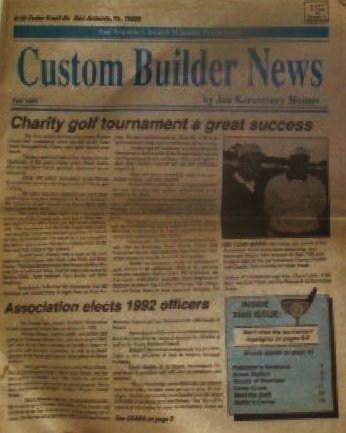 Featured in numerous type publications. 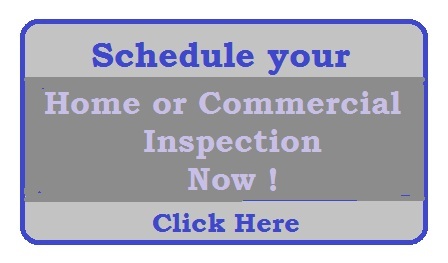 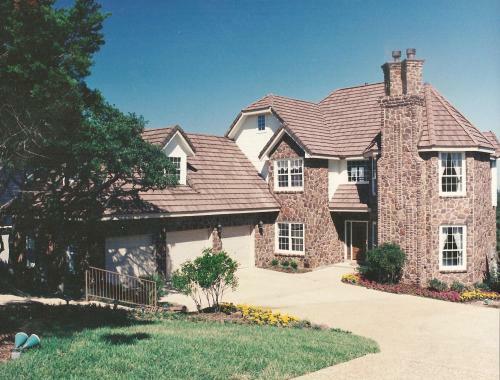 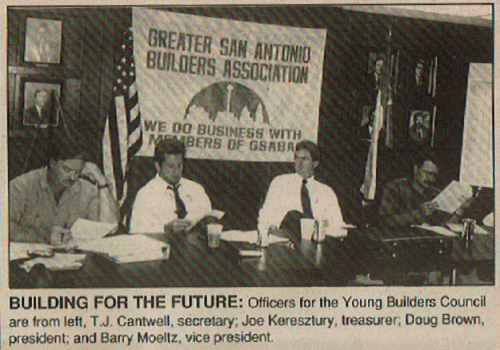 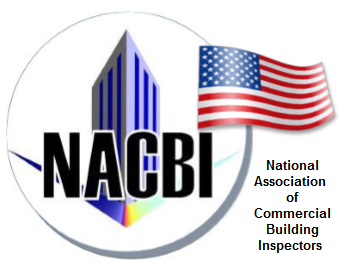 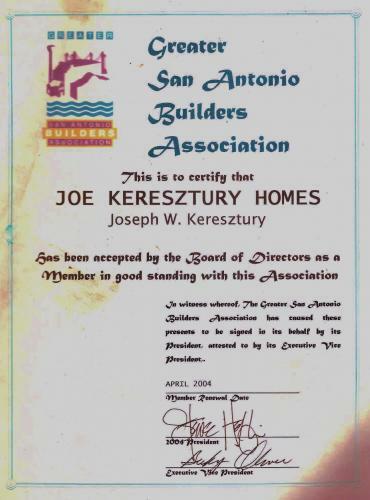 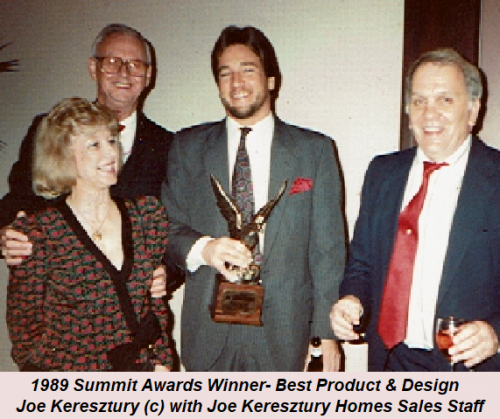 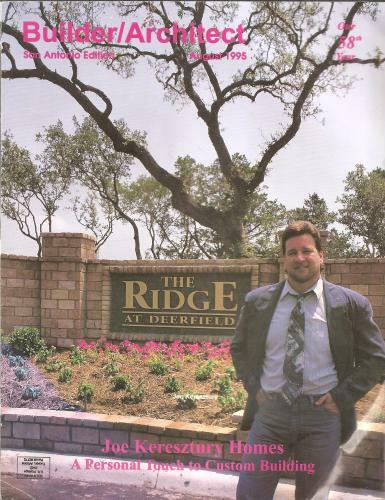 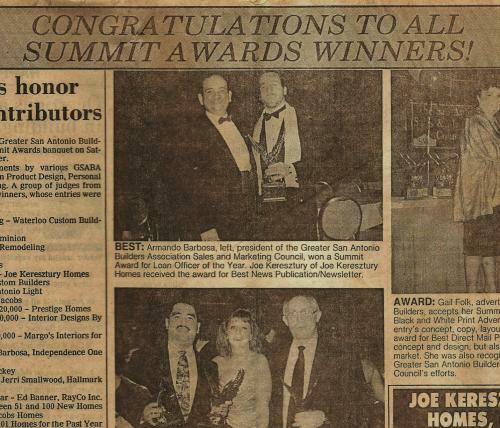 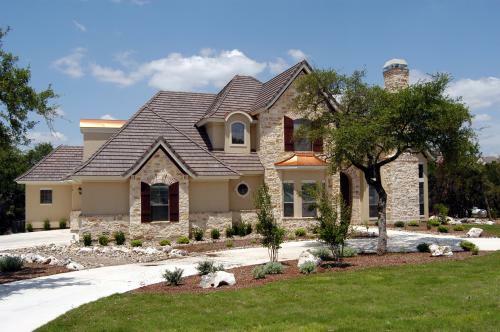 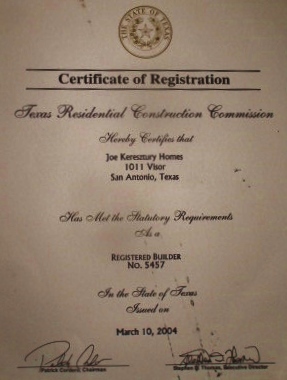 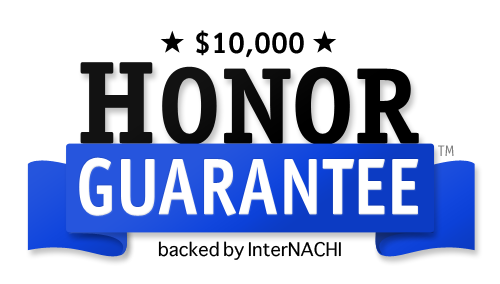 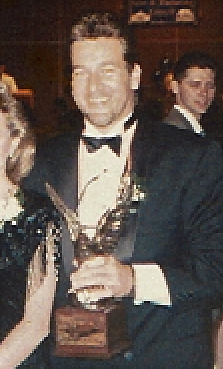 Award Winning Custom Homebuilder numerous times thru the 80's & 90's including with the Summit Awards- Viewed as the Acadamy Awards for Builders in the San Antonio and South Texas areas. 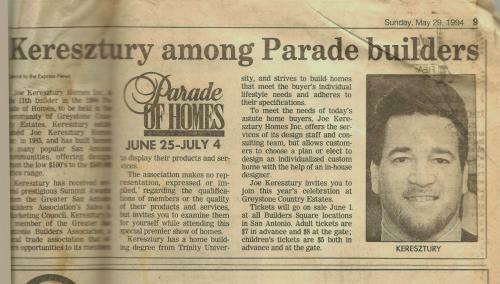 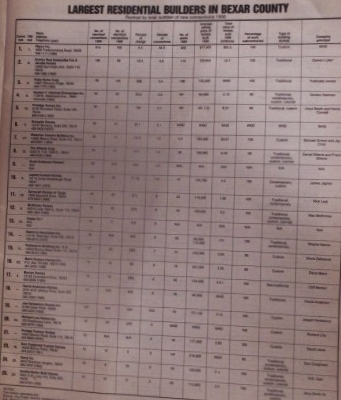 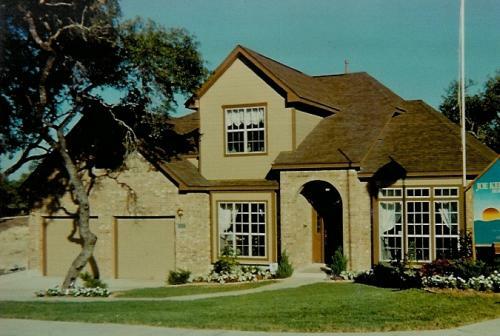 Parade of Homes from the 1980's thru 2000's. 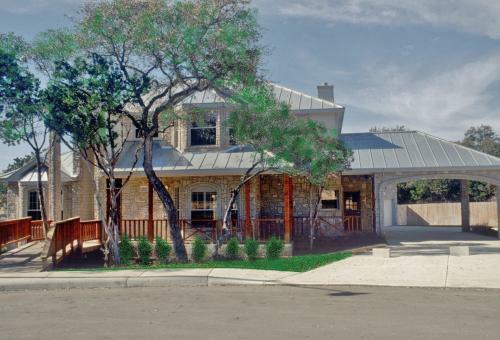 Built in the 2006 New Braunfels Parade of Homes & numerous Parade of Homes (Custom Home Shows) in other San Antonio areas, including (Braun Station)1988, (GSABA) 1989, 1990, 1992 & 1994. 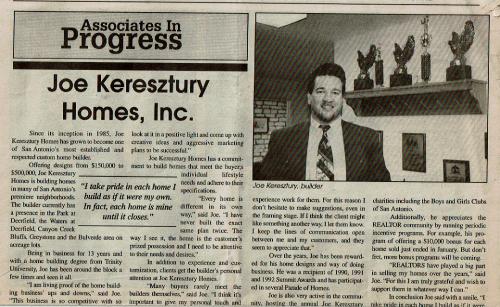 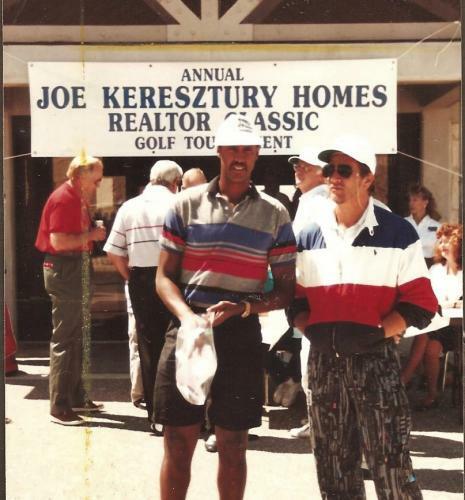 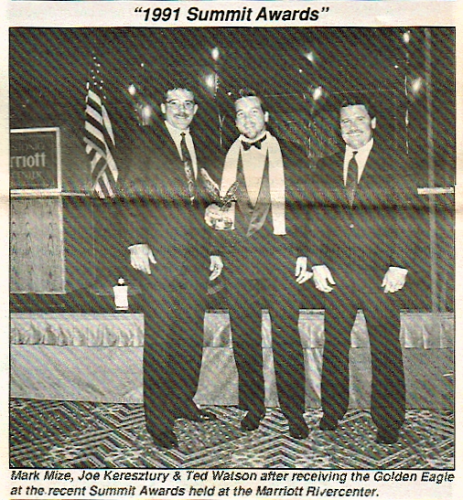 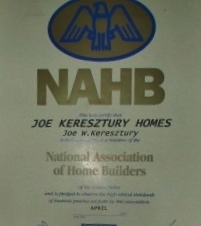 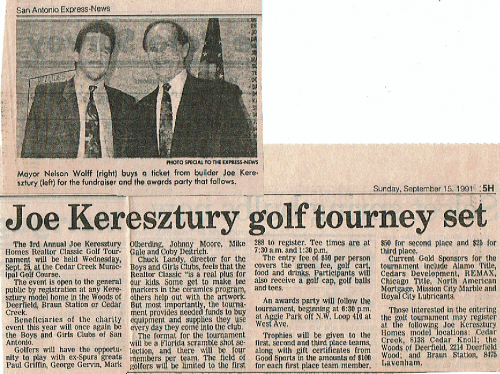 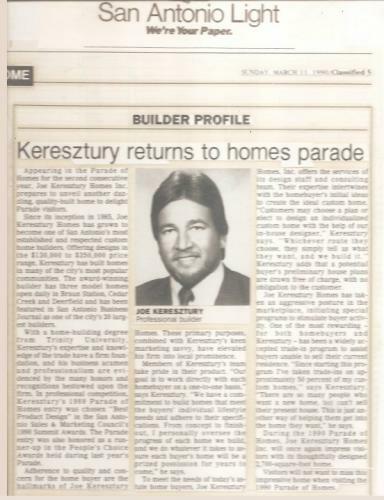 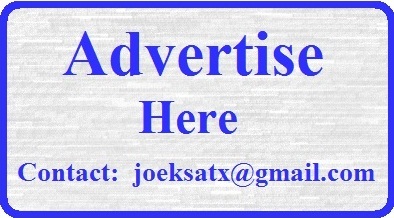 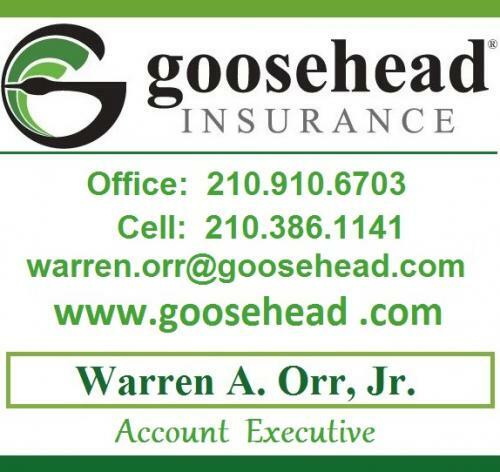 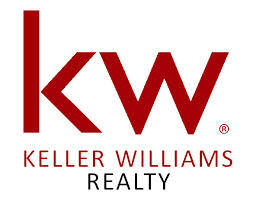 ( originally called the Joe Keresztury Homes Realtor Classic Golf Tournament). 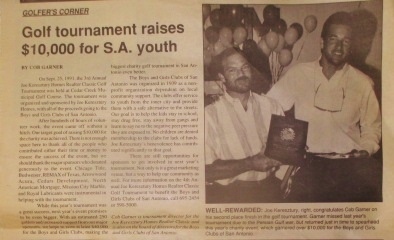 The Charity golf tournament raised tens of thousands of dollars for numerous charities including the Boys and Girls Club of San Antonio. 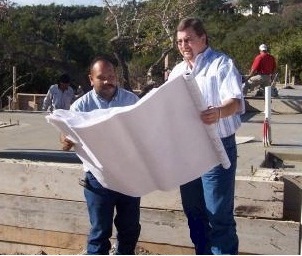 Basic Foundation Construction 2.5 CEU McKissock . 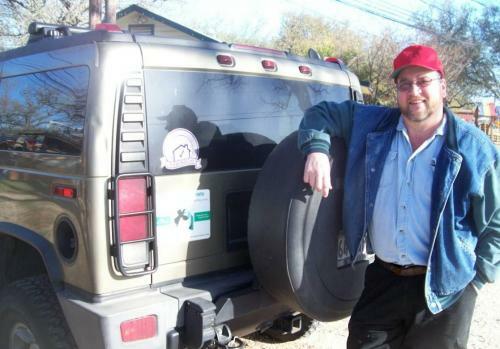 InterNachi ......... inspecting Texas and the world !